I apologize for the ginormity of the picture. My computer illiteracy shines through. Leia and Yarna are really nice. Looks pretty good overall. Probably a little shiny for my tastes, but a cool piece. Is the auction for the Slave Leia you bid on still around? I'd be curious to see what they look like. No slave Leia ended already. I figured it was over, was just wondering if the auction page was still online. 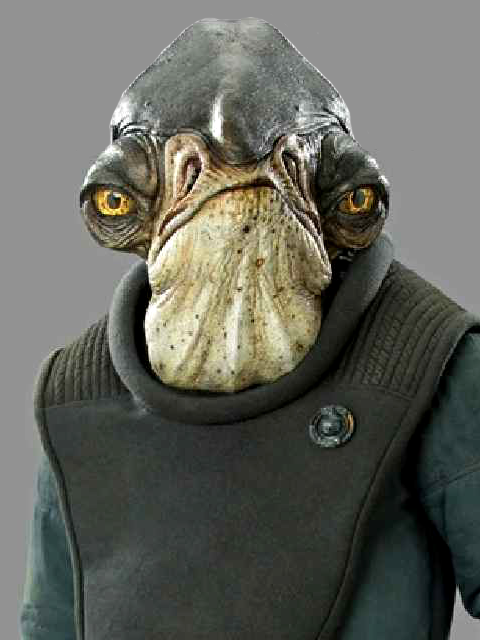 Is it me, or is that a Battlestar Galactica Adama head on that Imperial Officer body? 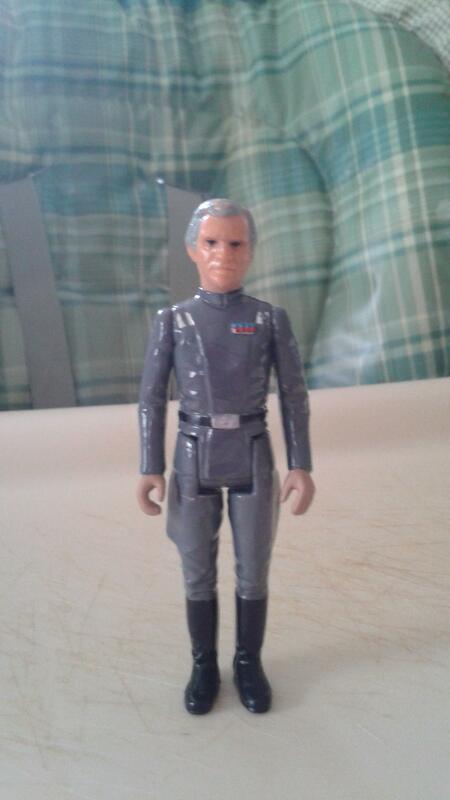 "vintage" Grand Moff Tarkin. 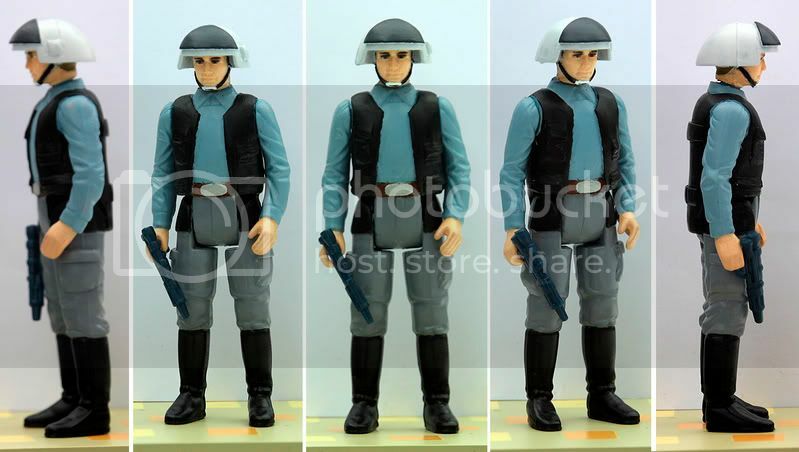 Imperial Commander's body painted to the correct color scheme, rank, etc. with a vintage Battlestar Galactica guy's head. I really like it. Yes, I think that was established. Interesting. Compared to the one from Ryan Shaw, that one doesn't do it for me. 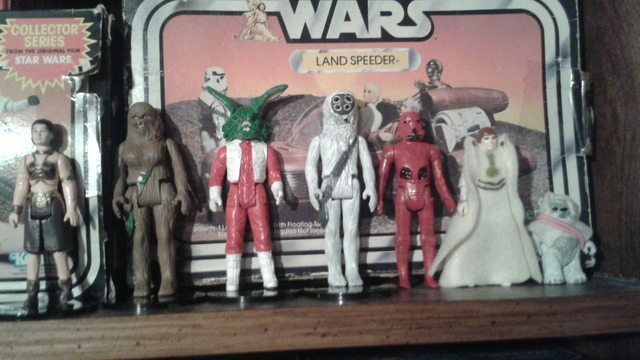 Mon Mothma, Kneesaa, ZX3 (from vintage "Droid World" comics and read along books), Slave Leia (she needs a paint touch up or she'd be higher up the list), Muftak (made from a Chewie body and custom mold head, I think it's spot on for what the real vintage would have looked like), Mallatobuck (Chewie's wife from Holiday Special, pretty much Chewie's body with hips and a chest and a few other tweeks), and last but not least Jaxxon (I've never actually read these comics from way back when, but he's been on enough EU wish lists that I had to have him, the custom molded head is really cool in a funny kind of way). Can't have this discussion without pictures! 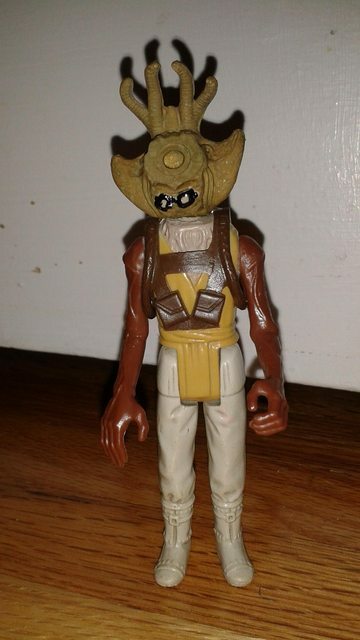 I once made the rebel fleet trooper from Han Solo and Death Squad Command guy. Ooh, I like that one. Looks great. Here is a shot of all of them. I know it doesn't show much detail, but I'm too lazy to post any more photos. Nothing is super high quality, but for the price I got them all I think they are nice. Those are really nice. I'll have to keep that picture for reference someday. After deciding I wasn't willing to pay for a nice reproduction/custom I decided to kitbash my own Mongo Beefhead together from some junky figures I had. As you can see Squid Head's torso is yellowed pretty bad and the brown I used on the head dried way too light, but still fits the idea.